Posted by Aaron Makela in Fallout 76 Character Builds. Posted by QLDerPete in Fallout 76 Character Builds. Very early game based build with strong roleplay elements focusing pve. Posted by ninjah in FalloutBuilds.com Feedback. Field Surgeon Perk seems bugged. Field Surgeon is a perk with 1 level only but once you pick this it increases 2 points on Charisma stat. 3 posts, last by ninjah 5 months ago. 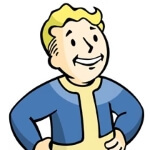 Posted by kevin in FalloutBuilds.com Feedback. 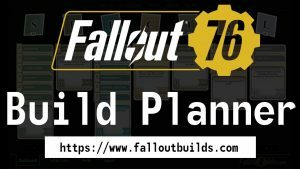 Why is there a difference of 35 AP between the build planner, and actual in-game? I’ve checked and there aren’t any effects or mutations. Posted by Supertriqui in Fallout 76 Character Builds. This is my explosives and shotguns solo build. The objective is to increase the damage you can do with explosive shotguns and grenade launcher (which is a shotgun) in nuclear zones started by other groups, aiming for faster clearing. If you are in a group, you can trade your lone wanderer for some group friendly cards, like Bodyguard or whatever. Posted by bigK92 in Fallout 76 Character Builds. Here’s my first attempt, comments and criticism desired! What do you like, what could I improve? Thank you! Basic idea: Playing together with friends, no focus on PVP or extreme damage, lots of looting. Strength: the few skills here are used to reduce weight. Perception: here the damage of the semi-automatic rifles is raised, as well as the scatter of the shotguns reduced. Posted by Notrufus in Fallout 76 Character Builds. Just using this as a reference for how I want to build my character. Basically the PCGAMESn sniper build but with a few changes for my playstyle.